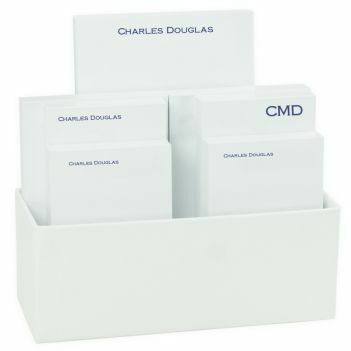 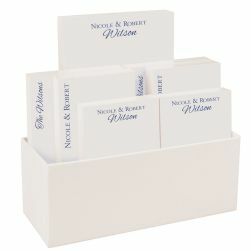 The Executive 7-Tablet Set - White with Linen holder features a combination of one line of text personalization for 5 tablets and up to five initials on the 2 small tablets. 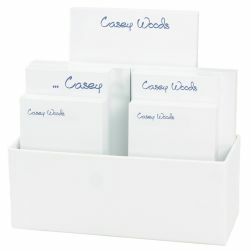 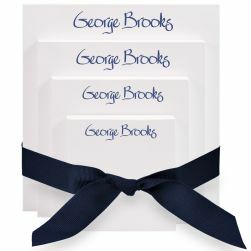 This item now offers your choice between 10 font styles and 8 matte ink colors on our exceptional white paper. Includes four different tablet sizes.